Feel like I need to share this with someone that might care. Did you plan out that game specifically for your 100th? Yea when I was at 99 I did wonder which one is like to have as 100 and I was still missing a play through of DX. Nice! It's a great feeling when you get to that point. 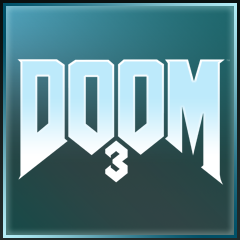 This platinum also made me reach trophy level 30! A new milestone achieved. Great zelda clone. Looks gorgeous, plays well, easy trophies. Wish it lasted longer though. Having previously lived in New Zealand I loved all the nods to the culture. Shockingly I havent stopped by here yet. Samurai Warriors 4 - Actually started this 3 and a half years ago but just played it on snd off with a friend co- op when we could get the time together so took a fair old while. I never planned mine, it just ended up being Resident Evil Tevelations on PS3, my 200th was 2064 Read Only Memories. I liked both games a lot though so I'm ok with how that went. for those who platinum'd God of War, at what point in the game does it make sense to go for a collectathon clean-up? please no spoilers past this part. Do I have everything I need to get all maps %s chest after that?? Trying to clean up my list and finish off easy games I never bothered with otherwise. This pulled my completion percentage above 73%. So close to my goal of 75%. Finish the main story first. The game let's you go back once you are done to collect everything else. Yeah, treat it like end game content. DQXI trophy cards looking real good. Got the Guacamelee! 2 Plat. The game was fun but kinda expected more from a sequel. Next Plat will probably be Spiderman once I get the game. And if you check the main boosting partner thread you'll find the link to the discord. It's fairly active. Seems to be gone. There used to be a master thread in the general category for co-op, but I don't see it there anymore. In any case, whatever game you're looking at should have a co-op/boosting thread in it's forum. I'm sure someone has the discord link. so, I just platinumed God of War (2018), al things said it was a fun platinum, now I am eye's Dead Cells. since it good great reviews and it's 2d, it could be a good change coming from GoW. has anyone gotten the platinum for that game?? is it hard?? Decent little cheap game. Might do the PS4 stack at some point in the future. In my continued quest to clear up my list a little I have gone back and finished this old PS+ game. Suprised how rare the time trial and key trophies are. Neither seemed very challenging. I have a question for my Trophy/Achievement Hunter pals. Do you platinum/100% games for your personal self or do you compete with others in any way? Do you actually completely finish games outside of achievements? Like Skyrim you can do so many things outside of the trophies but FFX requires you to finish the game a 100% even in trophies. Do you even care about looking at your actual trophies you earned ingame later or just reminisce over the platinum or 100% bar? Just my questions for now. I platinum and 100% for my personal enjoyment. I occasionally compare with friends to see what they have done in games but its never a contest. I will 100% games outside of achievements if it is not a big grind. I 100% games for myself, never in competition. I'll complete games as long as I enjoy them, same as when it comes to completing all of a games trophies. Playing through Witcher 3 right now, and there's no way I'm skipping out on all the side quests, even though I'm pretty sure there's not a trophy for finishing them all. I do like to occasionally look at past trophies, a lot of the time to see how rare or common they are. What an atrocious trophy list. Multiple playthroughs and RNG trophies. Getting a 12 slot legendary weapon took me over 25 hours of playtime with a single character. Luckily the game is a lot of fun so it didn't get boring at any point. Just need to complete two weekly missions for the 100%. Now starting Tokyo Xanadu Ex+, a game that I have been interested in for a long time. Hopefully it scratches my Persona itch. Starting to get really close to 100 platinums, I usually don't do milestones but I had to save Persona 5 as my 100th platinum because it's my game of the generation. Been wanting to get back to it for months. Platinum #69: Dark Souls Remastered. I love this game. Had no problem running through it again, although I did muck it up and made two of the same Greatsword of Artorias so I had to have someone drop me the non-cursed one. Characters are wack (the one thing Uncharted does better), but I found the game to be a blast to play. Only missing the Endurance Co-op stuff, but I got lucky and found someone that's been trying to get them for like 3 months now lmao (this is why I despise online trophies). Started Shadow of the Tomb Raider and loving it so far, but apparently collectibles are glitching for some people (apparently this was the case with Rise too), so I don't know if I should wait until it gets patched. Man, I really want to do something like this for when Sekiro launches. I would love for the Sekiro plat to be both my platinum #200 and my 10,000th trophy, but it'll take a lot of planning, considering I'm at 140 platinums and 7,686 trophies. This game is easily my current GOTY, looking forward to the DLCs and eventually a sequel. Fun trophy list too, most of them comes from completions of each district. A simple but enjoyable plat. I got the Platinum for The Crew 2. I really enjoyed the game, but the last two hours of playing the same race over and over again to grind out and max my car's performance were a pain. Yeah. Its either 6 or 7 that has it and I'm really not looking forward to it. Oh well, I've never backed down from a Mega Man challenge yet! Just set up a second PS3 and grinded out the online trophies while I watch shows on netflix. Easy enough. An old PS+ game that I had never finished up. Had some trouble with my final collectable not spawning properly but figured out a solution. Was on sale recently so I picked it up as I love top down racers. Had a ton of fun with this. Was a nice easy list as well. Oh god, I regret starting this. I triple stacked this devs other game Tennis in the Face, but this was way more luck based and annoying. Glad its over and I will never have to look at this again. I hope to one day go back through my old games and try to either plat them or 100% them. I've been starting to get back into my PS3 and there are a ton of games that I played not thinking about trophies, my completion rate is pretty bad. I really miss the days where I could use the summer to play catch up. Got the Platinum for Spider-Man earlier this week, which was quite doable. Really fun game but getting Ultimate in some challenges was really hard though, so it was a good thing there wasn't a trophy for that. I'm currently playing through Mafia III but I'm not sure if I'm going to get the Platinum for it. Im getting closer to 125, currently at 117. I dropped hunting between april and august because of personal life. Im back now though. Gravity Rush 2 & Tekken 7 is my next two. I've been primarily an exclusive Xbox gamer for the past 10 years+. 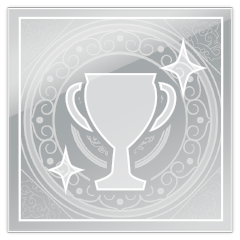 But, I'm happy to say that I just got my second PS4 Platinum trophy, for Ni No Kuni 2. I've seen lots of complaints about it, but in the end, I really enjoyed it. Gonna hop into Dragon Quest and Spider-Man next. This is what I am doing. My goal is to get above 75 percent completion. I won't be able to 100% everything, some of it is just not worth my time, but it is satisfying to do. This. I'm hoping to at least beat the large majority of PS4 games in my backlog. I don't think I'll have the time or energy to Platinum them, but I at least want to get through them. I've been in a depressive funk recently and not been in the mood to trophy hunt for the past month or so. I gave up on Resident Evil Revelations; the amount of luck based grinding was just not worth it. So I went back to Warframe, which is the kind of grinding that I like, but not many trophies there. Hmm. Very unique, terrible controls, terrible port quality, easy plat. I understand the appeal, but it's very hard to recomend this when something like Yakuza exists. And I already have trouble recommending Yakuza. I've played all three releases, and I still don't know why this game is so beloved. It's OK, nothing more. Looking forward to seeing how Bluepoint f up the physics in the PS5 version. On the plus side, it looks and performs absolutely gloriously now, the whole thing feels much easier and smoother as a result, and they gave us 90 more seconds on #3 hard time attack. Currently on Shenmue 2 now. At first glance, it seems technically much better than the first game. 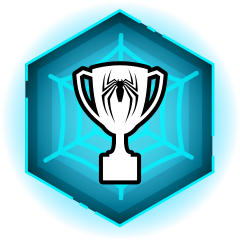 Got the Spiderman Plat, good game. Too much open world busy work though but the swinging was fun so I didn’t mind it too much. Going to probably get Wolfenstein The Old Blood Plat next. I've had this game since release 4 years ago but I had about 3 trophies left to get and considering I've recently finished Spider-Man I decided to revisit some older, unfinished games trophy wise. This was the first of them! 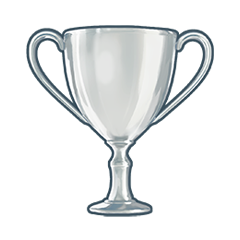 Overall completion on my trophy profile is still 50% so I'll try to boost that higher. Yakuza Kiwami 2 - Easier platinum than Zero or Kiwami or perhaps I just know the games better now. Great game either way. Playing Last day of June now, hoping to get all trophies tonight in preparation for HollowKnight releasing tomorrow.